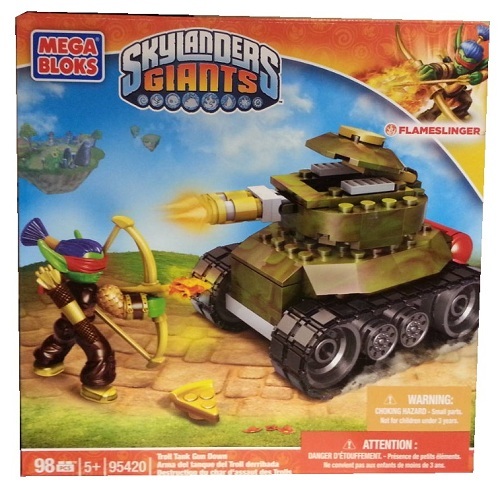 Product Detail Summary: Flameslinger readies his bow with a red-hot fire arrow and takes aim against a powerful Troll Tank with Troll Tank Gun Down by Mega Bloks Skylanders Giants™. The buildable Troll Tank is nearly invulnerable save for the large energy storage exposed on the back. Flameslinger’s expert archery skills will be needed to hit the target with his fire arrows and destroy the tank before it can unleash its powerful cannon on Skyland. Ideal for kids aged 5 and up.